The Senate’s recent decision to break with tradition and end the 60-vote requirement for most Presidential nomination has not changed Lt. Gen. Susan Helms’ decision to retire. 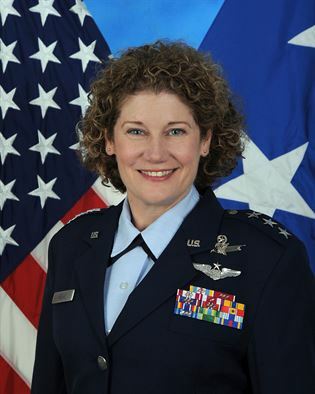 Helms was nominated to be the next vice commander of Space Command, but Sen. Claire McCaskill, D-Mo., blocked her nomination because Helms overturned the sexual assault conviction of Capt. Matthew Herrera at Vandenberg Air Force Base, Calif., in February 2012. Under the old Senate rules, it took 60 votes to overcome a hold on a nomination, but on Thursday the Senate voted to lower that threshold to 51 votes. But Helms has not reconsidered her request to retire in light of the change. She is not taking interview requests from the media, said Space Command spokesman Anthony Roake in an email. Her retirement date has not yet been set. In a statement to the media, Gen. William Shelton, head of Space Command, praised Helms as a “brilliant officer” who serves as a role model for all Americans. Claire McCaskill has bigger things to worry about in our country right now than this – the Federal Budget comes to mind. Air Force Leadership is competent and made the right decision. What makes McCaskill think she knows more about the sexual assault case than the Air Force, anyway? Doesn’t she think Lt Gen Helms spent countless hours on this case? Shame on McCaskill, not on Lt Gen Helms.